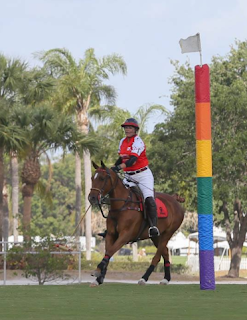 When John Maroussas attended the Annual International Gay Polo League (GPL) Polo Tournament, 5 years ago, he knew very little about the sport. Today, at age 71, John now plays polo regularly with his trustworthy polo pony, Patsy Cline. The two don’t let their ages stop them from enjoying all aspects of the exciting sport. 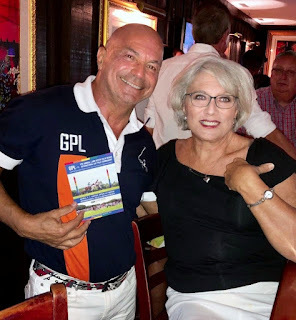 Shortly after attending GPL, John decided it was time to break his 40-year hiatus from riding horses and signed up for lessons at Palm City Polo Club, the home club for GPL. Although he had to start from the beginning again, he was soon out on the field playing polo. Two years later, he decided to purchase his own polo pony. While polo is a sport that many start at a young age due to family ties, the story doesn’t always have to play out that way. With the right horse, like Patsy Cline, and the right teammates, like the Gay Polo League offers, polo is a sport that can be started and enjoyed at any age, regardless of skill level. There are many of life's choices that can be embarked on at any age. Self limits, many times, are our biggest obstacle. John's choice to come out as gays was also a decision not made early in his life. Family, kids are still there for John and he now peruses the sports passion of Polo. John was the star at last weekend's festivities. Congratulation John on your escapes.